AUBURN HILLS, Nov. 17, 2010:Fiat Multiair Engine System Awarded 'Best of What's New' by Popular Science Magazine Exclusive Fiat Multiair system recognized by editors of Popular Science magazine as one of the top automotive technologies for 2010 Advanced, green technology cuts emissions by ten percent compared to similar engine not equipped with the system while improving fuel efficiency by ten percent The new Multiair 1.4-liter engine will make North American debut in the 2012 Fiat 500. Fiat's Multiair technology, soon to be available in the Fiat 500 that will be sold through selected Chrysler dealers in the U.S., has been awarded "Best of What's New" from Popular Science magazine. Consumers will get their first glimpse of this new technology under the hood of the city-friendly, four passenger compact debuting this week at the Los Angeles Auto Show. The new engine features electro-hydraulic management of the inlet valves that helps reduce fuel consumption by up to ten percent, reduce emissions by ten percent and provide up to 15 percent more torque compared to the 1.4-liter four cylinder Fiat engine. The 1.4-liter engine with Multiair will be standard on the Fiat 500 for the North American market. The Multiair system, invented and patented by Fiat Powertrain Technologies (FPT), is based on direct control of the intake air, cylinder by cylinder and stroke by stroke by significantly reducing dependence on a throttle valve for airflow control. This advanced technology is designed to simply and effectively vary the amount of time the intake valves are open and the amount of charge that is let into the cylinder, particularly at low speeds or partial load driving condition the type of driving most commuters are familiar with on local freeways. Normally, engine valve opening and thus the amount of air let into the cylinder is controlled with direct action from the camshaft. With Multiair, the actual opening of the intake valves is controlled by using hydraulic fluid running through narrow passages that are controlled by a dual action electronic solenoid. When the solenoid is fully closed, under highway speeds or full acceleration, Multiair allows the intake valve system to operate much like a traditional engine. When the solenoid is open, however, the oil bypasses the passage, decoupling the valves. Intake valves are no longer controlled by the direct action of the camshaft but under valve spring action. Multiair also helps the engine maintain optimum valve control strategies during engine warm-up and through internal exhaust gas recirculation. By reopening the intake valves during the exhaust stroke, emissions are reduced up to 40 percent for hydrocarbons and carbon dioxide to up to 60 % for nitrous oxides. 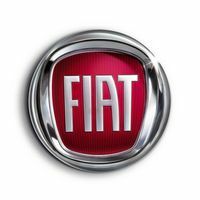 Earlier this year, the Fiat 1.4 Turbo engine equipped with Multiair received the prestigious "Engine of the Year" recognition in 2010 in Europe.